The reason is that in 2019 I will be taking a "sabbatical" year (at least for the most part) from work and travel, so that I have time to re-evaluate my professional life, and to explore new avenues of interest, such as training and volunteering in Hospice work with the dying. I’m opening space in my busy schedule to study things I’ve had to put off until now. I also plan to create a deep, comprehensive Advanced training in the theory and practice of Tantric Pulsation teachings. Tantric Pulsation is an ‘off-shoot’, or rather a subtler, deeper development of Osho Pulsation, which has evolved over decades. This 3-part training will initially be available only to people who have completed the Osho Pulsation Training, at least the full Basic Training. In the meantime, Certified Pulsation Practitioners from around the world are busy sharing Osho Pulsation in the form of Individual sessions, weekly Classes, Groups, Workshops, and Trainings, as well as Festival events around Europe and Russia, and Brazil. You can find links to their web-sites on the top right of this page, and in our "Practitioners" section. One more important thing I want to mention here (can you tell that I am super excited about it?!) 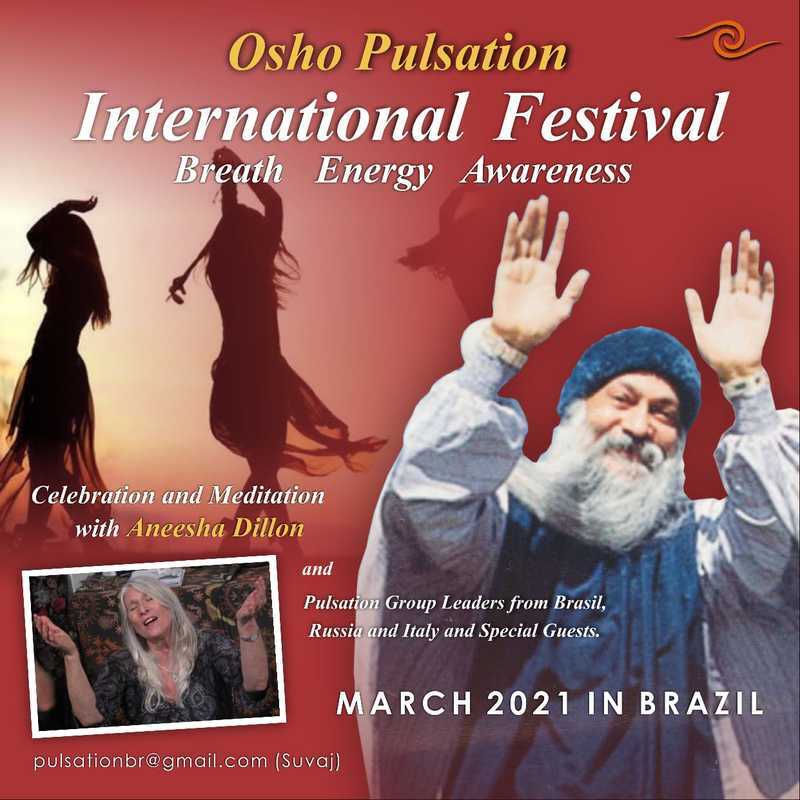 is the International Osho Pulsation Festival in Brazil, March 12-21 2021: 10 days of Pulsation events, Osho Active Meditations and Evening Meetings, Live Music, Pulsation classes, Individual sessions, and groups with Pulsation Leaders from around the world… Culminating with a Celebration of Osho’s Enlightenment, on March 21, 2021. See more info on the right side of this page. Osho Pulsation is a method of self-exploration and personal transformation which works through the body and the life energy system, to re-claim our natural aliveness and expressiveness. Rooted in the insights of two of the most ingenious figures of the twentieth century, Wilhelm Reich and Osho, Pulsation provides the awareness and the tools to ground the process of personal transformation in the body, using breathing, movement, and sound to explore the full range of sensations, feelings and emotions that we carry inside. As the energy begins to flow freely and naturally throughout the whole body, participants can experience a state of tremendous aliveness, together with feelings of relaxation and well-being. Aneesha Dillon created Osho Pulsation, a unique and delightful blend of neo-Reichian breathwork and meditation, by combining two streams of understanding, one Western, one Eastern. Over the last four decades Aneesha has changed the lives of thousands of people all over the world through her popular workshops, trainings and individual sessions. 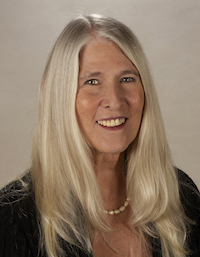 She has trained hundreds of people all over the world to do this work, and her book "Tantric Pulsation: The journey of human energy from its animal roots to its spiritual flowering" is available in several languages. Tantric Pulsation: the journey of human energy from its animal roots to its spiritual flowering is available in English, Spanish, Russian, Italian and Portuguese!! Pulsation Training, L2 - "Advanced"
Pulsation Training, L3 - "Supervision"
I'm really excited about this one! - The International Osho Pulsation Festival in Brazil, March 12-21 2021: 10 days of Pulsation events, Osho Active Meditations and Evening Meetings, Live Music, Pulsation classes, Individual sessions, and groups with Pulsation Leaders from around the world… Culminating with a Celebration of Osho’s Enlightenment, on March 21, 2021. This Festival is organized by Dhyan Suvaj and the team of Pulsators and Trainees in Brazil. All Pulsation lovers Worldwide are welcome! Come and Celebrate Our Aliveness with us in Brazil! © 2012 - 2018 Oshopulsation.com, Aneesha Dillon, all rights reserved.